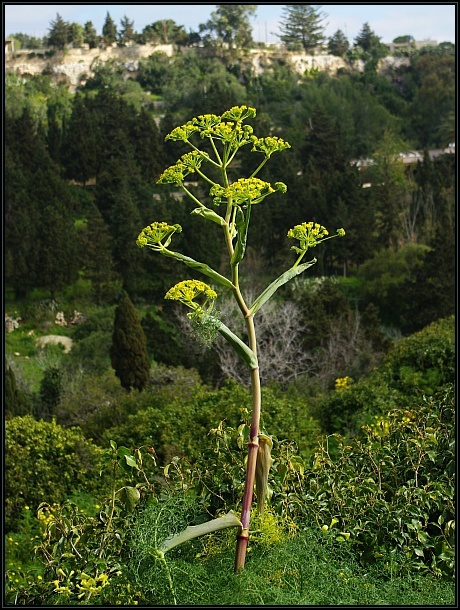 Ferula communis is a large herbaceous perennial, common in the Maltese Islands, but native to the Mediterranean. 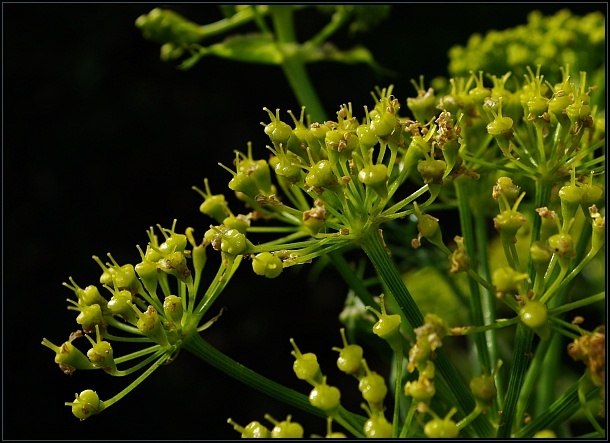 It produces large bright yellow flowers (in umbels) which are visible from some distance. 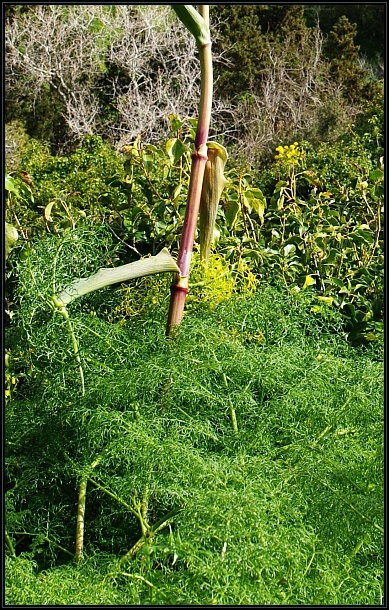 It attracts several insects and the dried dead twigs are a substrate for the large edible mushroom Pleurotus eryngii var ferulae.